The Policing Project recently visited Salt Lake City, Utah, as part of our national field research project with our partners at the National Police Foundation and National Urban League. We are visiting cities across the country to learn about their approaches to police-community engagement, and the challenges and successes they’ve encountered along the way. On February 27, 2016, Abdi Mohamed, a 17-year-old Somali refugee, was shot and critically wounded by officers from the Salt Lake City Police Department. In the aftermath, community advocates protested the use of force by SLCPD. Community leaders and activists—representing such groups as Black Lives Matter, Utah Against Police Brutality, and Cop Watch—formed a broad coalition, calling themselves the Community Advocates Group (CAG), and set out to reform the police department. CAG has no formal leadership. Because it is comprised of different organizations guided by different missions, there can be disagreements among the group itself. But even with that occasional discord, CAG has gained the attention of the SLCPD and local elected officials. Now, every two weeks, CAG meets at SLCPD headquarters to discuss recommendations for reform directly with SLCPD command staff, including Chief Mike Brown. Early meetings between SLCPD and CAG—not unlike other police-community engagement efforts across the country—were difficult. Chief Brown recalled that many community members, including some who had been affected personally by police misconduct, took the opportunity to yell at the officers in the room. These meetings underscored the serious distrust between some members of the community and police. However, both sides took steps to try to move past those difficult early discussions. 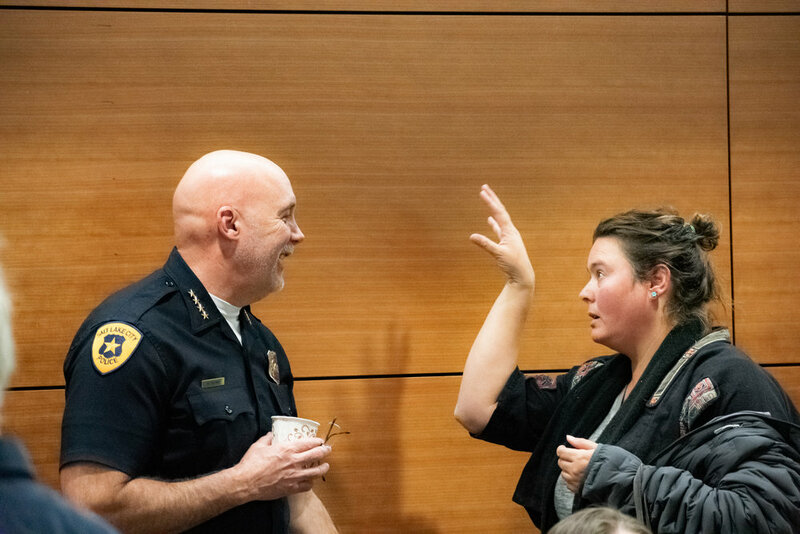 SLCPD understood they needed to sit back and listen—taking direct criticism and inflammatory language—in order to build a working relationship. The CAG also took steps to make the conversation more productive. It grounded its discussions—which used to be free-wheeling with no set agenda—by using a table of priority issues that clearly delineated the items to discuss with the police, such as de-escalation and body cameras. Led by skilled facilitators, CAG used this table to set the agenda for the bi-monthly meetings with SLCPD. The table has expanded over time as new issues are discussed. 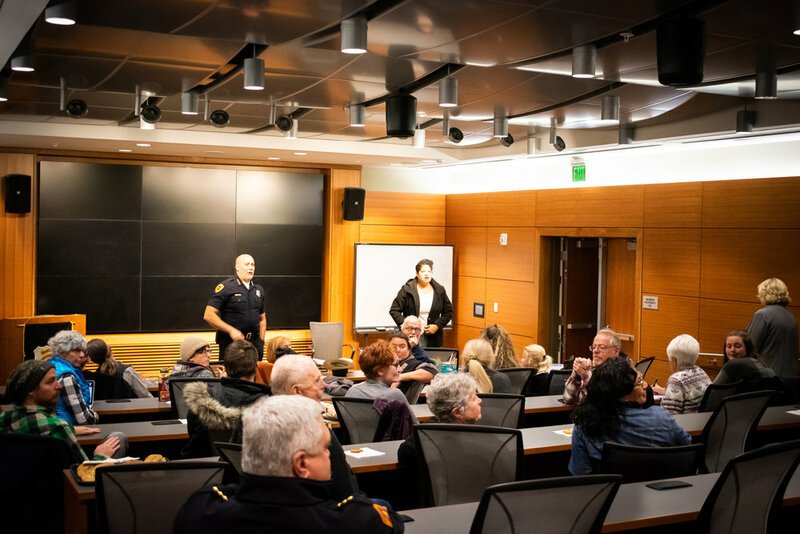 In addition to hearing and addressing community concerns, the meetings are an opportunity for SLCPD to talk directly to its most vocal critics. The police have arranged for presentations on such subjects as use of force, mental health, and Internal Affairs investigations. These presentations can help ensure everyone in the room is provided with adequate background information—and serve as a sign of good faith and transparency from SLCPD—as the two groups deliberate ways to reform the department. Today, CAG meetings can still at times come to shouting and heated accusations between community members and the police. Some CAG members expressed frustration that the work moves too slowly or that the police are stonewalling. Some were skeptical that things are actually changing for everyday patrol officers and wished to talk with rank-and-file officers. But there has been real progress. CAG has successfully advocated for improvements to the online citizen complaint process and public access to policing data that can be disaggregated by race. They also have pushed for staffing and training changes and influenced the release procedures around body-worn camera footage. If nothing else, these regular meetings provide a venue for activists to meet and talk with the Chief and other command staff. It’s a credit to both the CAG and the Salt Lake City Police that they are operating on a level of front-end involvement that isn’t common in many cities.